When forming a new company, it is important to consider not only the type of entity being formed but also how that entity will report and pay taxes. In certain situations, it may make sense for a corporation or LLC to elect to be taxed under subchapter S of the Internal Revenue Code. According to the IRS default rules, a corporation is taxed as a C corporation, while an LLC is taxed as a disregarded entity if it has one member or as a partnership if it has multiple members. 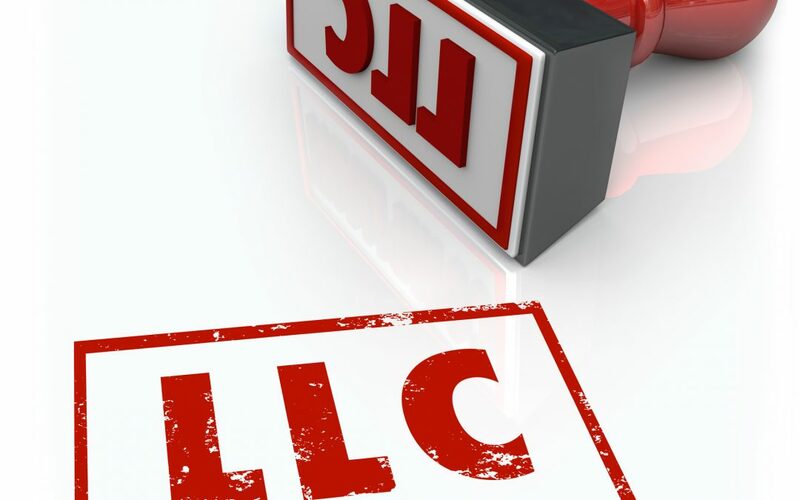 A corporation or LLC can elect to be taxed as a subchapter S corporation, which would change how the shareholders’ or members’ tax is reported under the IRS’s check-the-box rules. A corporation will be treated as a C corporation unless the shareholders qualify and elect to be treated as a subchapter S corporation. There are many differences between C and S corporations, but the biggest distinction is that income, losses, deductions and credits in a C corporation are treated for tax purposes at the corporate level, and the income is taxed again when distributions are made to the shareholders. By contrast, an S corporation does not pay taxes at the corporate level, and all tax treatment passes through to the shareholders at the individual level. 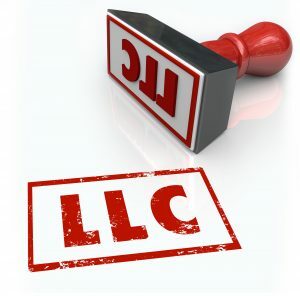 Similarly, by default, all LLCs will be taxed as disregarded entities, which means that the tax treatment flows through to an individual’s tax return when there is a single member. When there are multiple members, an LLC is taxed as a partnership under the default rules, unless the members elect, or if the sole member of a single-member LLC elects, to be taxed as either a C corporation or an S corporation. A corporation or LLC can elect S corporation status by filing Form 2553 with the IRS within two months and 15 days of being formed or from the beginning of the tax year in which the election is to take effect. All shareholders in the company must qualify and consent to the election and be listed on the form, which requires the signature of all shareholders as of the date the company is electing to be treated as an S Corporation. In order to elect to be an S corporation, the entity must meet certain requirements. (1) There cannot be more than 100 shareholders; (2) the shareholders must be U.S. citizens, with only certain exceptions; (3) only one class of stock is permitted; and (4) only an entity formed in the United States can make the election. S corporations generally cannot have entities as stockholders, but the S corporation can own shares of disregarded entities and C corporations. One exception to the rule that there cannot be entities that own shares of an S corporation is the Qualified Subchapter S Subsidiary (QSUB). If the S corporation owns 100 percent of the subsidiary S corporation and the subsidiary is an eligible U.S. entity that otherwise meets the S corporation requirements, the parent S corporation can elect to treat the subsidiary S corporation as a QSUB by filing Form 8869 with the IRS. S corporation status is not a permanent decision; it can be terminated in several ways. First, if more than one-half of the shareholders consent to the revocation, the S corporation status can be revoked. Second, if any of the S corporation requirements are not met, then the company will cease to be treated as an S corporation. A company that elects to be treated as an S corporation could have that election revoked if the company issues an additional class of stock or admits as a shareholder someone who is not a U.S. citizen or otherwise does not meet the other requirements. An S corporation can also have its tax status revoked if it has passive income that exceeds 25 percent of the gross receipts for three years. Once an entity properly elects S corporation status, it is important to understand how that will affect the taxability of the company’s transactions and how it will report information to the IRS. As discussed above, generally an S corporation is not subject to the separate entity-level tax that a C corporation is subject to. Instead, the S corporation reports income, losses, deductions and other information to the IRS and how those items are divided between the S corporation’s shareholders on a pro rata basis. The S corporation’s shareholders then include those items on their individual federal and state income tax returns. The tax treatment at the corporate level will be characterized the same way on the individual’s return. For example, if an S corporation with three equal shareholders sold a capital asset that it held for more than a year and realized a $30,000 gain on that asset, each of those shareholders would end up reporting a $10,000 gain on their individual returns through a Form K-1 issued by the corporation. This can lead to a situation that is unique to S corporations, which is the presence of phantom income on an individual’s tax return. If an S corporation makes a profit in a given tax year, that profit will flow through to the individual shareholder’s tax returns and will be taxable income. If the corporation does not make any distributions in the same year as the tax is reported, then there can be income that is taxed without the shareholder actually receiving any cash distribution from the S corporation. S corporations also have limitations on the wages they can pay and benefits they can distribute to shareholders owning 2 percent or more of the outstanding stock of the company. This means that in S corporations, the company cannot take advantage of certain business deductions that could otherwise be deducted if the S corporation were taxed as a different type of entity. Similarly, losses by an S corporation are deductible by the shareholders, although they are subject to a series of limitations including but not limited to, stock and debt basis limitations, at-risk limitations and passive activity loss limitations as outlined in the Internal Revenue Code. Generally speaking, stock and debt basis limitations restrict the amount of a loss that can be deducted to the shareholder’s basis in the S corporation stock and the amount owed to the shareholder by the S corporation, but any losses that exceed that amount can be carried forward. At-risk limitations are similar but also include amounts that a shareholder is personally responsible to repay or the value of any collateral used to secure a debt of the S corporation. Passive loss limitations prevent losses from being deducted in excess of the company’s passive income, which can include rental activities, if the S corporation owns and rents real estate. Because there are certain limitations on deducting losses, new companies that anticipate losses early on must be careful about electing S corporation status. Generally, S corporations do not pay entity-level taxes. However, there are certain situations where an S corporation does continue to incur tax at the entity level. For example, if a C corporation makes the election to be taxed as an S corporation after operating for a period of time, it will pay entity-level tax on any built-in gains on the property sold if that property is sold within five years after the S election is made, or if that property appreciated in value while the company was a C corporation. The period of recognition for built-in gain was 10 years until it was permanently reduced to five years in 2011. For example, if a C corporation bought a piece of property for $25,000 and then converted to an S corporation when the property was worth $50,000, there would be $25,000 of built-in capital gain that would be taxable at the corporate rate if the property were to be sold within five years of making the S election. Any appreciation in value after the election to be taxed as an S corporation is made is not subject to entity-level tax. An S corporation can also incur entity-level tax if the company has passive income that exceeds 25 percent of the company’s total income or if the company holds earnings and profits from when the company was a C corporation. Clearly, decisions about how an entity is going to be taxed, both at its formation and moving forward, are important and can have far-reaching implications for both the company and its shareholders or members. A number of different considerations need to be made when deciding if a company should be taxed as an S corporation.